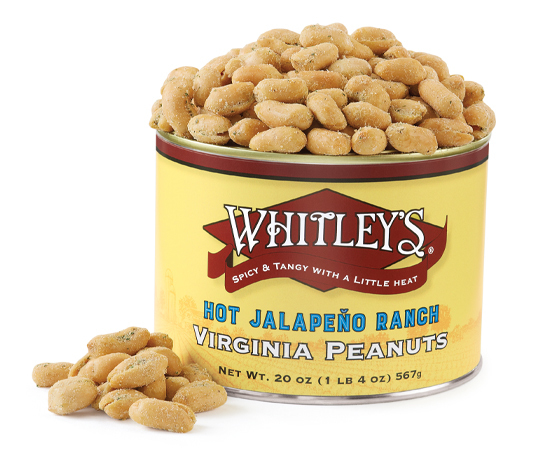 We're kicking it up a notch with our spicy Jalapeño Ranch flavored Virginia peanuts. They have just the right amount of heat and tangy flavor that has you craving for more. * Additional charges will be calculated once destination address is entered. ** See our UPS Time in Transit for details. Ingredients: Peanuts, Salt, Maltodextrin, Buttermilk Powder, Garlic, Dehydrated Jalapeno, Spices, Onion, Natural Flavor, Soybean Oil, and Peanut Oil. CONTAINS: PEANUTS AND MILK. 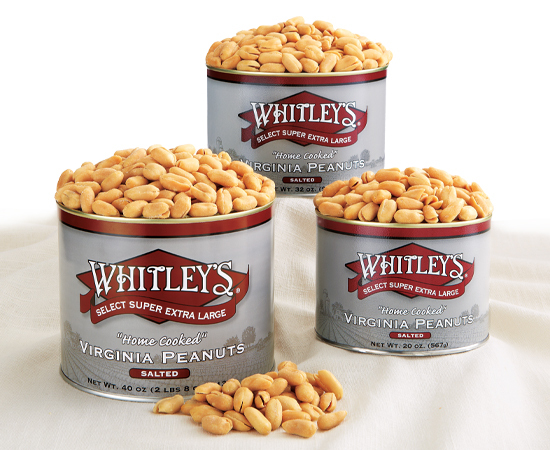 Whitley's - Just Too Good! Ok, these peanuts are like crack. Sometimes I wish I never tasted them because they are just too hard to stop eating! This new jalapeno ranch flavor is awesome. Not very spicy, but tons of yummy ranch flavor. I also love the chili lime which is a little spicier, but these here are my new fave!! Owner Response: Thank you for the kind comments! Glad you enjoyed them.